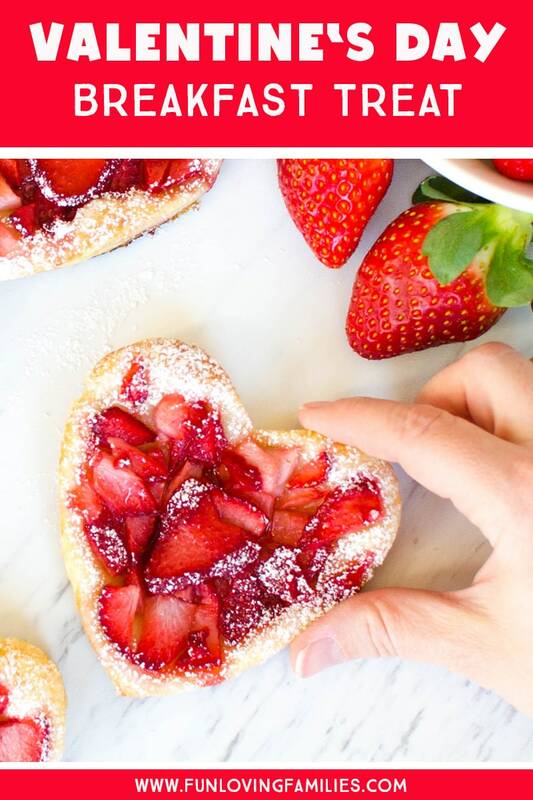 Make a special breakfast for Valentine’s Day or anytime with these simple and delicious strawberry pastries. Mornings are usually pretty rushed around here. But, when I can, I like to surprise the kids with a little something that they can grab and go. Usually it’s something simple like muffins or waffles. The kids always appreciate it, and it’s a happy way for everyone to start the day. 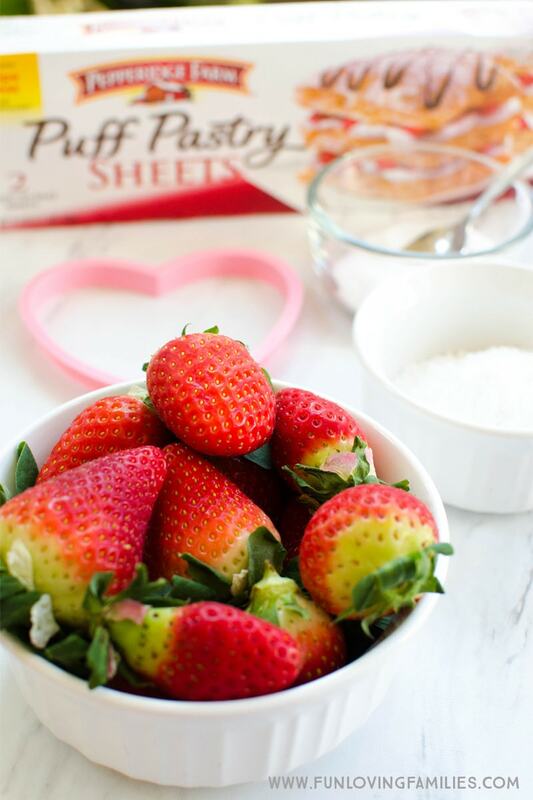 These strawberry pastries are the perfect way to begin a day with love and smiles. The steps are simple, but some of the prep work can be time consuming. To make this an easy weekday breakfast, you can do a lot of the steps the night before so that in the morning you just assemble and bake. 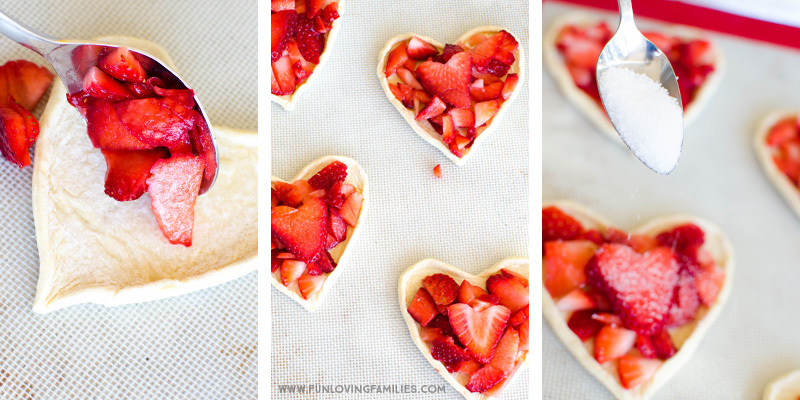 I made these strawberry tarts with lemon cream last strawberry season and they were a big hit. For me, strawberry season starts when I start seeing the strawberry packs come in from Plant City, FL. They aren’t local, but I grew up in Florida and it always makes me feel like home. 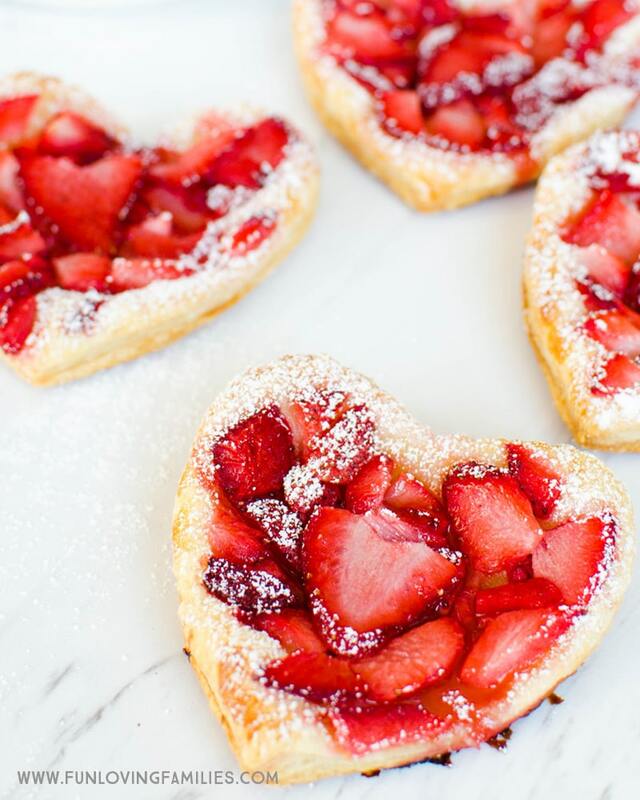 So, with strawberries in hand, and Valentine’s Day on my mind, I made these sweet Puff Pastry strawberry hearts for the family. 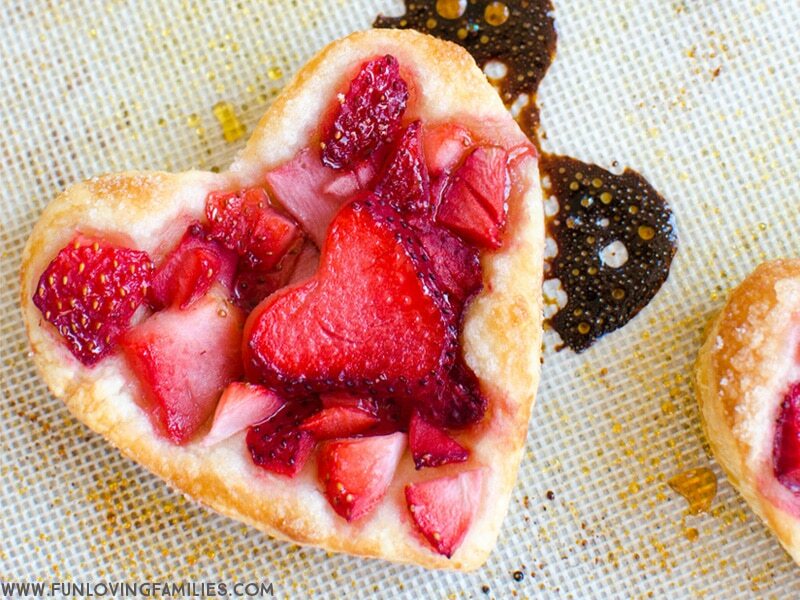 The most time consuming parts of making these pastry hearts is waiting for the Puff Pastry to thaw, and cutting the strawberries. Thankfully, both of these can be taken care of the night before. 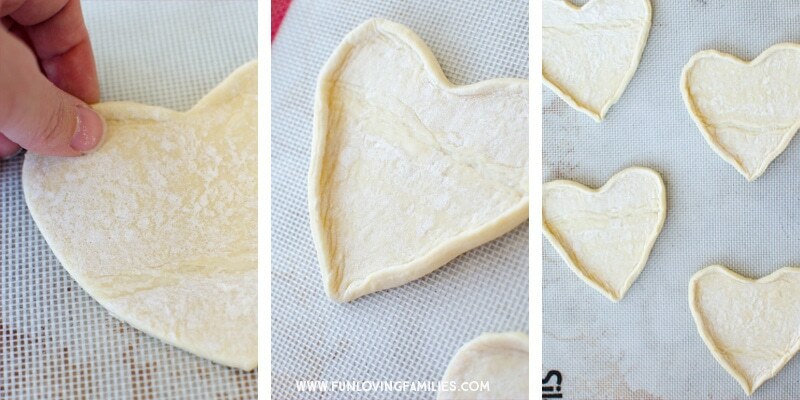 Go ahead and thaw out your puff pastry and cut the heart shapes, then store them in the fridge until you’re ready to fill them in the morning. 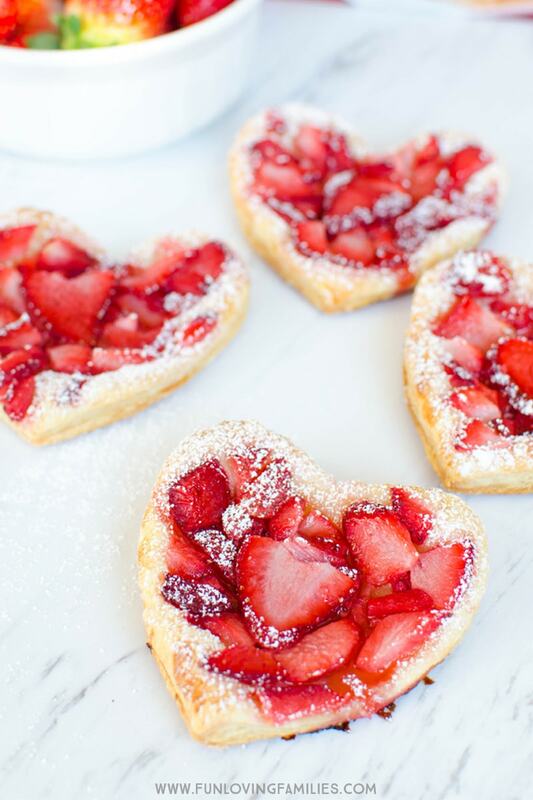 Likewise, hull and chop your strawberries and store them in a container in the fridge until you’re ready to make the pastries. Having those two steps completed ahead of time will greatly reduce the amount of time it will take to make this in the morning. Some foods really blur the line between breakfast and dessert and this is definitely one of those foods. I’m okay with this every now and then, and Valentine’s Day is a special occasion to have a sweet treat breakfast. But, you can always pair these with yogurt or serve some eggs on the side for a little added protein to get them through the morning.